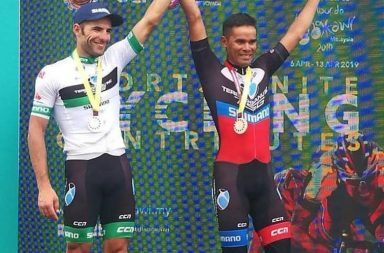 LANGKAWI: Neri Sottoli-Selle Italia-KTM’s Simone Bevilaqcua bagged a surprise victory in a bunch sprint that ended the 106.8km Stage 7 of the Petronas Le Tour de Langkawi, a round-island course that started and ended in Pantai Cenang today. 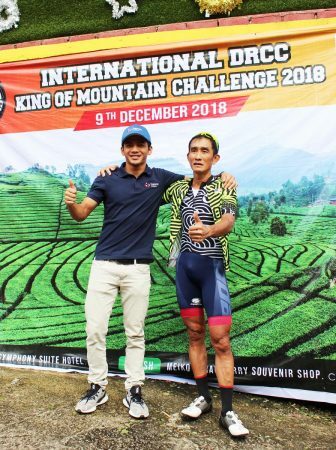 In the final sprint contested by a number of surprise names, Bevilacqua, whose name means “drinking lots of water”, fended off a challenge from Brunei Continental Team’s Charlampos Kastrantas, the first ever Greek rider to make the podium. The 22-year old Bevilacqua also made it three straight wins for Italian riders,, after Androni Giocattoli’s Matteo Pelucchi bagged the previous two stages, but was himself surprised by his ability to sprint. “Yes, my name means to drink lots of water, but in the first few days I was suffering with cramps because I didn’t drink enough water. I learned my lesson and today I was feeling much better,” said Bevilacqua. “I’m happy with my first win in LTdL. I am not really a sprinter, but today I took my chance really well. I anticipated a bunch sprint and quickly got in front with 3km to go. I stayed behind the Bardiani train, but when it was a clear sprint I saw a dog on the road and I hesitated a bit and then the dog ran off the course, so I was able to start my sprint from the right. A five-man breakaway that included mountains classification leader Angus Lyons of Oliver’s Real Food Racing, dominated the stage, building up a maximum gap of five minutes. 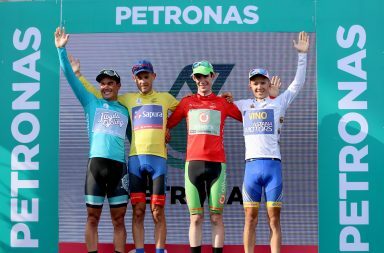 The peloton eventually brought back the breakaway in side the final 3km, but not before Lyons topped the two Category 3 climbs at Telaga Harbour and Bukit Beringin, to seal his mountains classification win with a 59 points total and an unassaillable 34-point lead over second placed Benjamin Dyball, entering the final stage tomorrow. “Mathematically, this king of the mountains jersey is mine but i have to finish the race. Now, we are gunning for stage win. I’d be happy if another Australian, Dyball, wins yellow and I win red,” said Lyons. 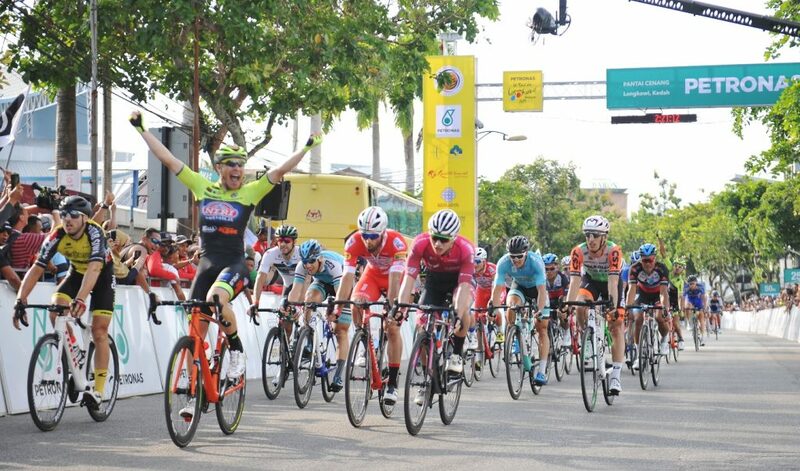 Team Sapura Cycling’s Dyball retained the yellow jersey for his general classifications lead, with his 27s lead over Interpro’s Hernan Aguirre intact and looks likely to keep the lead to the end. “It was another hard day, but easier because I only had to watch my nearest contender. My team had done a good job in front of the peloton. 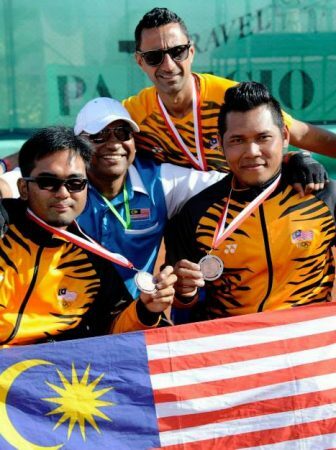 Each day gets easier but I expect another hard day tomorrow,” said Dyball. 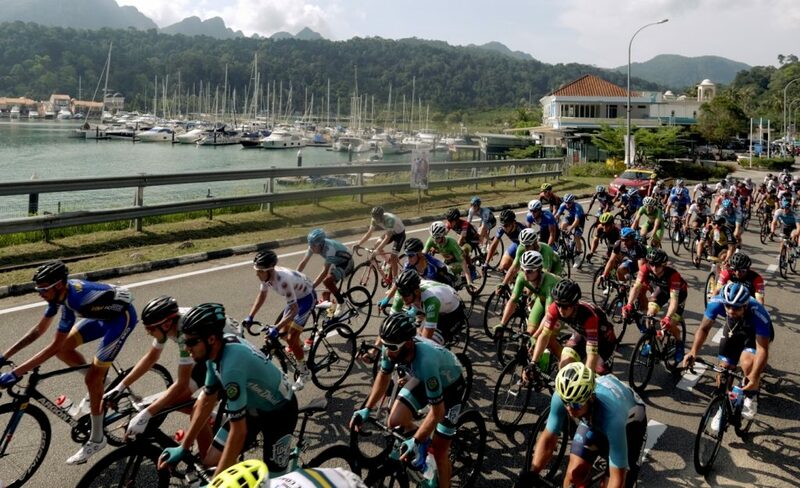 The Petronas Le Tour de Langkawi 2019 ends today with a 103.8km stage from Dataran Lang to Kuah. 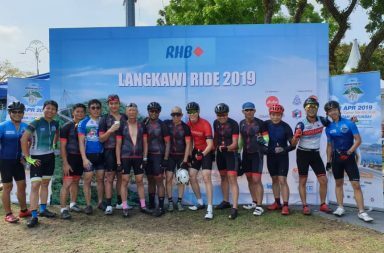 Le Tour de Langkawi is a multiple stage bicycle race held in Malaysia conceived by Prime Minister Tun Dr. Mahathir Mohamad, with the objective of putting Malaysia on the world sporting and tourism map. Held since the 1996, the race usually begins in Langkawi and includes major landmarks such as Genting Highlands and Dataran Merdeka. 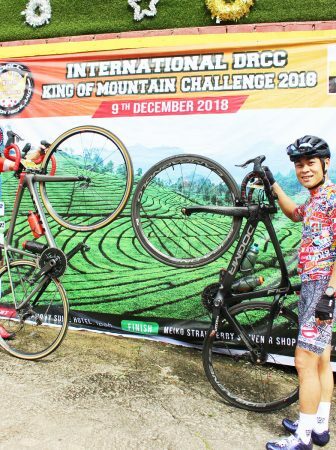 The race is sanctioned by the Union Cycliste Internationale (UCI) as a 2.HC (hors category) race as part of the UCI Asia Tour calendar, and is the biggest cycle race in Asia. Because of the reputation it holds, the race regularly attracts top teams from the World Tour as well as other continental and national teams from Europe and Asia. This year’s race will take place from the 6th of April to the 13th of April.